Festoon Cable Systems for use in the conveyance of electrical power and control to cranes, hoists or any equipment which travels with a lateral traversing motion. UL listed for indoor or outdoor applications. Complete component systems are available in any length. Systems include; cable trolleys, anchor brackets, wire rope cable, electrical cable and all necessary hardware. Please advise the length needed for a prompt quote. Systems are also available in round cable. 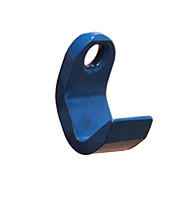 Standard Plate Hooks are designed for lifting steel plate material overhead and should be used in pairs. 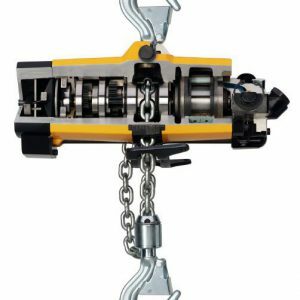 TorqHoist is your source for the complete line of replacement parts for Atlas Copco Air Hoists. 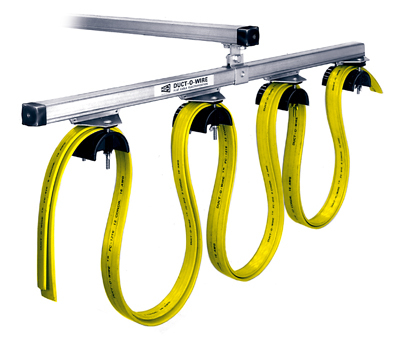 Atlas Copco MultiFlex swivel connector takes the effort out of working in spaces with poor accessibility, makes heavy rubber hoses seem weightless. 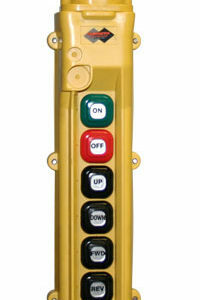 Pushbutton Stations are custom made to order.